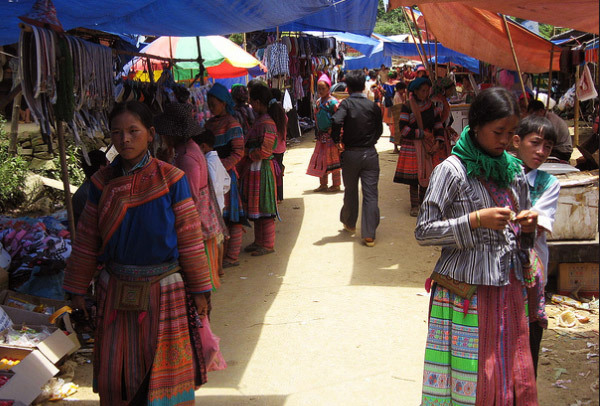 This market is only available on Tuesday, the market of Flower Hmong, Black Zao, Phu La, Nung and Tay minority. 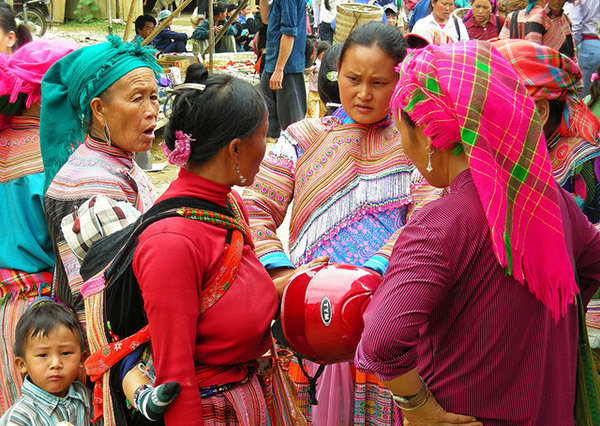 After the market trip, you will take a boat ride along Chay River and a short walk to Trung Do village of Tay minority. After meeting a guide at the Lao Cai railway station we have breakfast there and go to the Coc Ly Market for two hours by a van. The ride is relatively flat from Lao Cai. It will take you through rural area. The road is rougher for the last 30km. You arrive in Coc Ly by the time where the market is the most crowded. Coc Ly market locates by the Chay River, which flows from China. 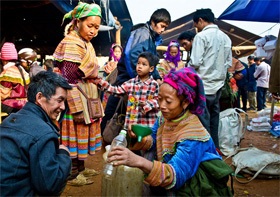 Every Tuesday morning, minorities from surrounding villages such as Flower Hmong, Black Zao and Tay, gather to sell and buy their products. After visiting the market, you travel by boat downstream. Along the ride, you can enjoy magnificent sight of the beautiful caves and life on the riverbank. You will have lunch on a beach or later in a village. 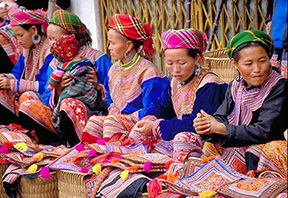 The trip will also offers you a visit to Trung Do village of Tay minority, where you can stop by a traditional Tay house for a cup of tea. You will go further downstream until you arrive to Bao Nhai Bridge. Here you get on the car for the journey back to Sapa. vernight in Sapa.